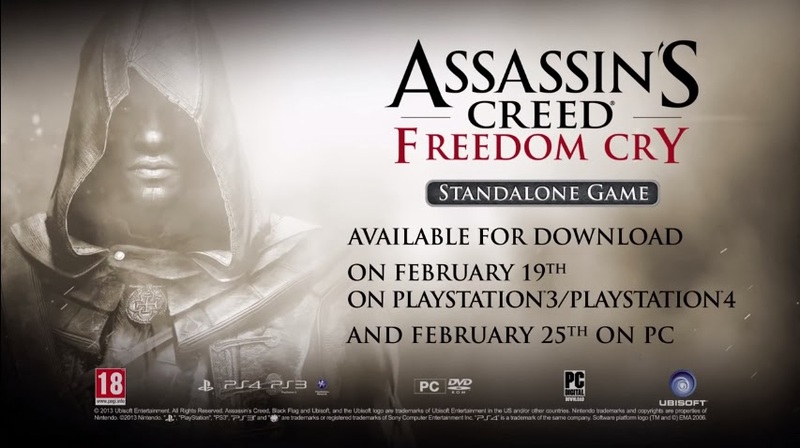 Ubisoft recently announced that Assassin's Creed: Freedom Cry, the previously released add-on adventure to Black Flag is now being released as a stand-alone title, exclusively for the PlayStation 3 and PlayStation 4 on February 19th! Assassin’s Creed: Freedom Cry tells the story of Adewale, a man born into slavery. Once a pirate and now a trained Assassin, Adewale is shipwrecked in 18th-century Haiti, home to the most brutal slavery in the West Indies. In an effort to get back to the sea, Adewale assists the locals in exchange for a crew and a ship. The more he fights for freedom from slavery, however, the more he is drawn into the Maroon slave community, forcing him to face his vicious past. In the game, Adewale will take his new crew and set of weapons, including a machete and a blunderbuss, to assassinate enemies and free slaves, delivering merciless justice in plantations and cities alike. No stranger to the sea, Adewale will command a fearsome brig to take down slave owners in the Caribbean.